We love to sing the praises of our friends the trees, but we often forget about the critical resource right under our feet: the soil. 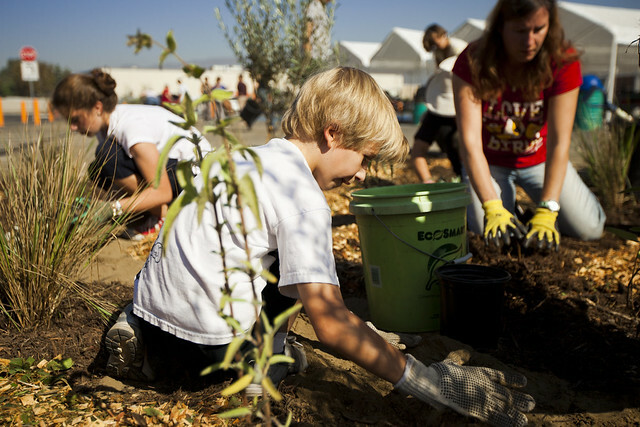 Trees and other plants need healthy soil to thrive, but the scope of soil benefits go beyond planting. Soil influences the life spans of our roads and highways. Healthy soil is the foundation for food, animal feed and fuel. Lumber, bricks and textiles all come from soil. Even important discoveries in the field of medicine can be linked to soil. Soil also performs a range of ecosystem services like nutrient cycling and water filtration. United Nations Secretary-General Ban Ki-moon said that without healthy soils, “life on Earth would be unsustainable.” Healthy soil—along with water, air and sunlight—is essential to the ecosystem and to our survival. 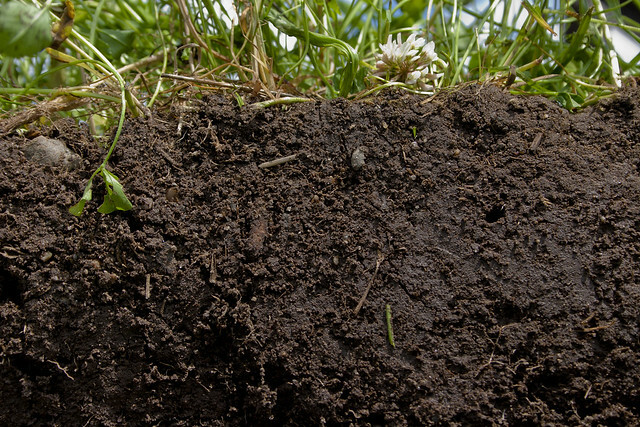 According to the Soil Science Society of America, soil is defined by the combination of minerals, air, water, arthropods, animals and other living organisms that accumulate in layers and compact over time. Soil without life is dirt, a sterile substrate. Scientists have found that the world’s soil is one of our largest reservoirs of biodiversity, containing almost one-third of all the planet’s life! A teaspoon of soil alone may be home to billions of microbes. And the life that resides in the soil—the microbes, fungi, mites and critters—make up a complex web of interrelationships. Due to all that organic matter, soil is also the largest source of organic carbon, a vessel for approximately 75% of the carbon on land. Soil’s natural tendency to store carbon is essential for mitigating and adapting to climate change, as well as improving flood and drought resilience. Although much of the focus on reducing greenhouse gases revolves around reducing our emissions, cultivating healthy soil can also offset the effects of fossil fuels. That’s because when soil absorbs carbon it keeps it out of the atmosphere. Not to mention, soil’s capacity to absorb CO2 is also directly related to its health, making soil preservation and restoration even more important. It may sound strange, but the world’s supply of clean water is all thanks to soil. Water that falls on concrete and other paved surfaces is diverted straight to the ocean, taking with it whatever pollution it picks up along its journey. Water that flows onto soil, however, is essentially purified by a natural filtering processes, making runoff far less toxic when it eventually reaches whatever destination—like a river, or the ocean—it’s diverted to. With the cooperation of its microorganisms, nutrients like calcium, magnesium and potassium are absorbed by the soil and removed from the water supply, while soil microbes decompose organic pollutants and play an important role in the nitrogen cycle making nutrients available for plants to access as needed! Our food supply begins in the soil, the source of everything we eat. Nearly everything we humans eat can be traced back to soil, and that’s true for other animals as well. Wild plants need healthy soil to thrive, so other species can eat the leaves and seeds and fruit and predators can eat the plant eaters. Did you know microorganisms that live in soil are used to make medicine that treat diseases? In fact, nearly all of the antibiotics we take to help us fight infections come from soil. These critters have given us many life-saving medications, like the antibiotic streptomycin, and cyclosporine—a drug used to prevent transplant patients from rejecting their new organs. 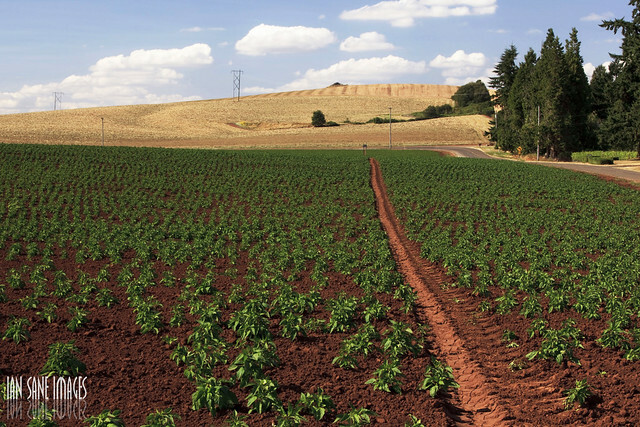 Soils are a finite natural resource, but that doesn’t mean it can’t be renewed. With the addition of microbes and mulch, your backyard dirt patch can become healthy soil teeming with life in just a couple years. 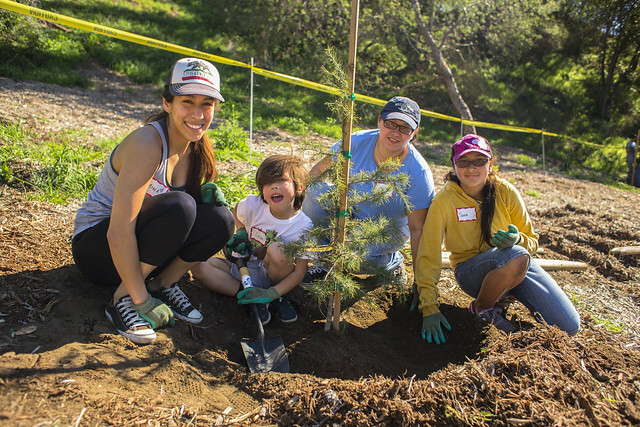 Find out what plants are right for your soil type in a Rainwater Harvesting or Native Plants Workshop, and help us keep our soil happy and healthy by planting trees! come back at some point. I want to encourage yourself to continue your great work, have a nice afternoon!